The new BMW K1600GT. The new BMW K1600GTL. As Europe's largest and most successful motorcycle manufacturer BMW Motorrad is once again increasing its leadership in the premium segment of high performance sports machines. Real World Performance Hits the Streets with the BMW K 1300 Series. BMW Motorrad reveals the most powerful and fastest BMW production bike yet. A high performance BMW K 1200 R is the transport of choice for Milla Jovovich reprising her role of Alice in the third instalment of the ultra-popular Resident Evil series. The new BMW K 1200 R Sport - Colours. The new BMW K 1200 R Sport - Short Version. The new BMW K 1200 R Sport - Technical Features and Design. The new BMW K 1200 R Sport - Range of Equipment. The new BMW K 1200 R Sport - Engine Output and Torque. BMW Motorrad Australia has announced local pricing for the much-anticipated R 1200 R, the successor to the immensely popular R 1150 R.
The BMW R 1200 R is unique in the market, being an agile and dynamic Roadster that remains true to the classic dream of sheer riding pleasure. The 2006 BMW R 1200 R.
BMW continues a long and proud tradition with the introduction of the new R 1200 R roadster, the successor to the distinguished R 1150 R.
New for 2006 is a special edition of the BMW K 1200 LT, the ultimate touring machine. 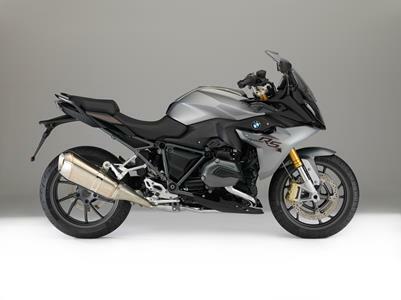 The new BMW K 1200 LT SE has many features previously only available as options. The BMW K 1200 LT is priced from $37,500. The 2006 BMW K 1200 GT. Model positioning for the new BMW K 1200 GT. Optional extras and special equipment – customisation is the name of the game.